Dr. Joost Holthuis is co-founder of Cristal Therapeutics, and joined the board as executive director corporate development until he was appointed Chief Executive Officer of the company. 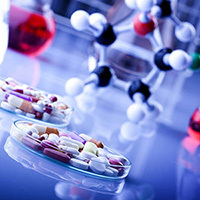 Dr. Holthuis has over 25 years of experience in both biotechnology and pharma industry. After heading the analytical and product development laboratories of Chiron from 1988 until 1994, he successfully served as CEO of Octoplus NV for 14 years, until 2009. Dr. Holthuis is Venture Partner in BioGeneration Ventures, and an independent entrepreneur in the Life Sciences. He serves on the board of Medisse and various other organizations in the industry, and is member of several advisory panels for the Dutch government. Dr. Holthuis is pharmacist by training and holds a PhD from the University of Utrecht.